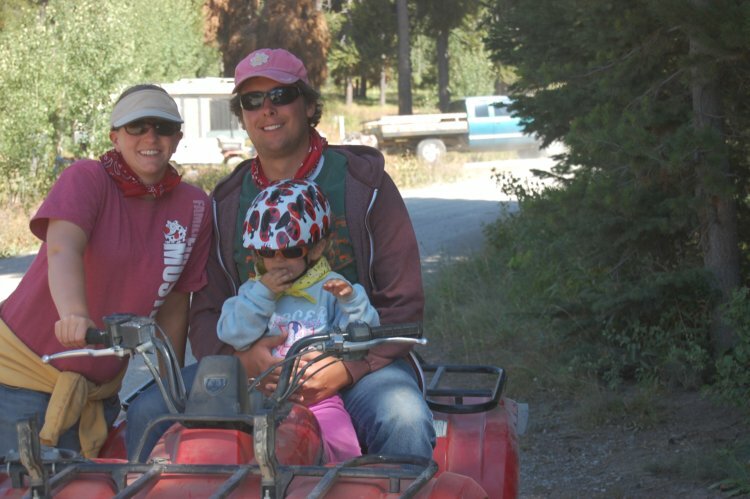 Over Labor Day weekend our family (us, my parents, + N8tr0n's parents) rode four-wheelers from Oakley, ID to Jackpot, NV. Some of us may or may not have been burned to a crisp by the high desert sun, but we all had a wonderful time. It definitely satiated my need to be outside, in the mountains, and very very dirty. Also, have I mentioned lately how much I love Idaho? Z-cakes was an absolute rock star through the whole trip. 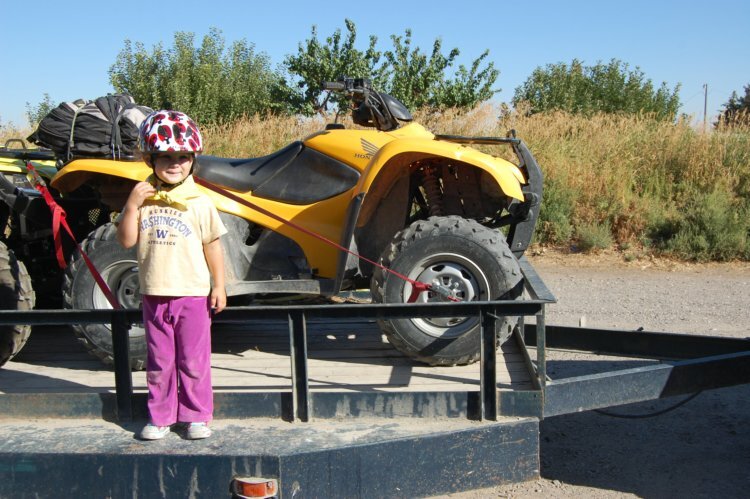 Two days on the four-wheeler and she didn't complain. Not once. Unless of course we stopped for a break and then she complained a bit because it was time to ride. Wait! Are you telling me you rode ALL THE WAY down ... there are paths that you can do that? How many miles is that? It's official, you guys are seriously awesome. What a fun experience! Seriously love her funky helmet pattern! It looks like just the sort of fun thing we should do here too - will have to make a note to do so in the future. At the moment I hardly have the figure to walk normally let along ride a quad bike but it sure looks like a lot of fun! Great way to enjoy the end of summer too. Lucy totally has that exact same helmet. Did you guys camp in tents along the way? I had no idea there was a trail that went all the way to Jackpot. I need more details!!! 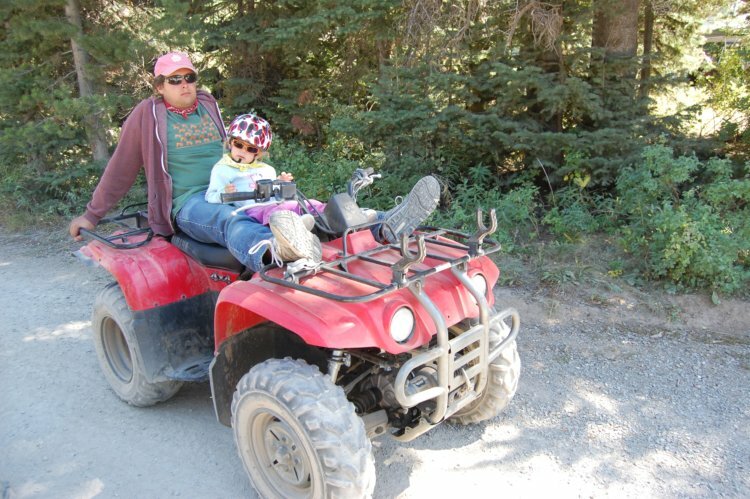 You guys look right at home on those four wheelers. Unbelievably dirty and happy! P.S. My stomach thanks you for the creme brulee french toast recipe. My waist curses you. Feel free to ignore my waist, I do!